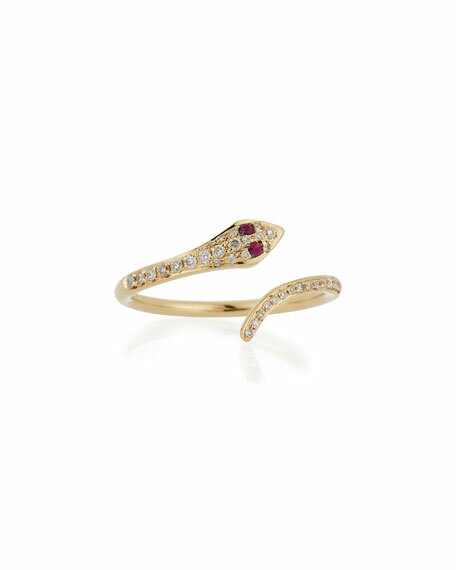 EF Collection ring with snake motif. 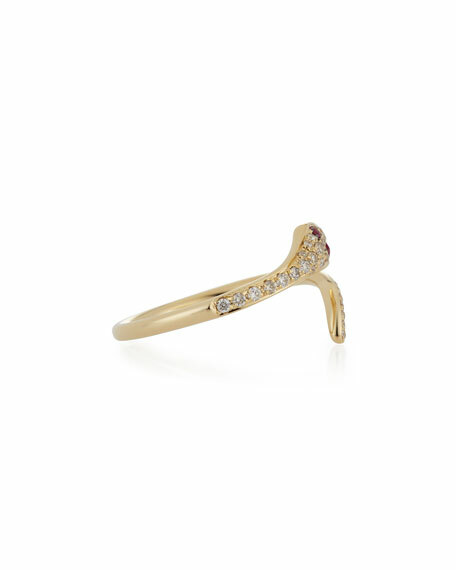 Pave white diamonds and ruby eyes. 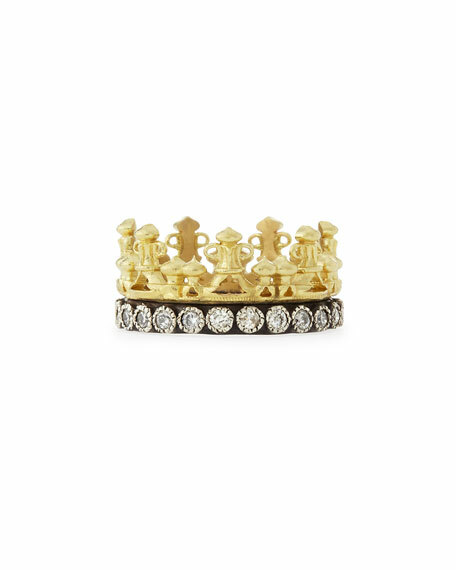 Armenta ring, from the Old World Collection. 18-karat yellow gold and midnight sterling silver. Round white diamonds. 0.54 total diamond carat weight. Approx. 10mm wide. 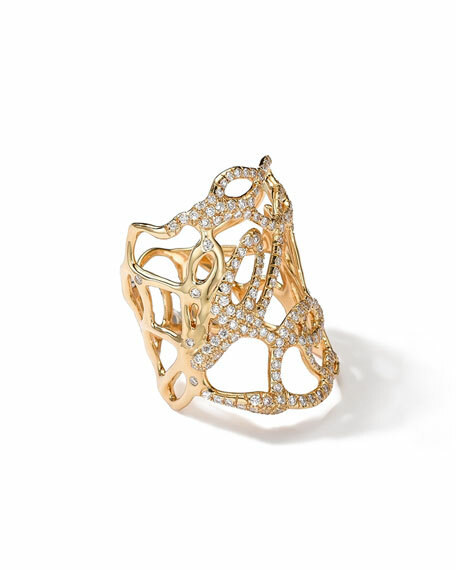 Armenta ring from the Old World Collection. Blackened sterling silver band and settings. Two 18-karat yellow gold diamond crivelli. White and champagne diamond pav. 0.55 total diamond carat weight. Made in USA. 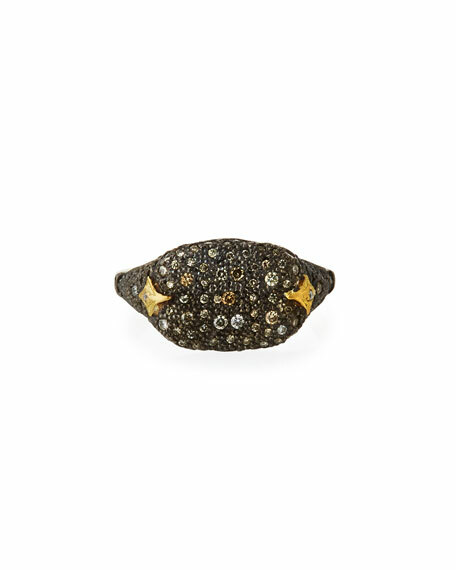 Armenta disc ring from the Old World Collection. 18-karat yellow gold and oxidized sterling silver. Pav ombre champagne diamonds trim center. Four Cravelli cross details. 0.32 total diamond carat weight. Face, approx. 16.8mm (0.7"D). Made in the USA. 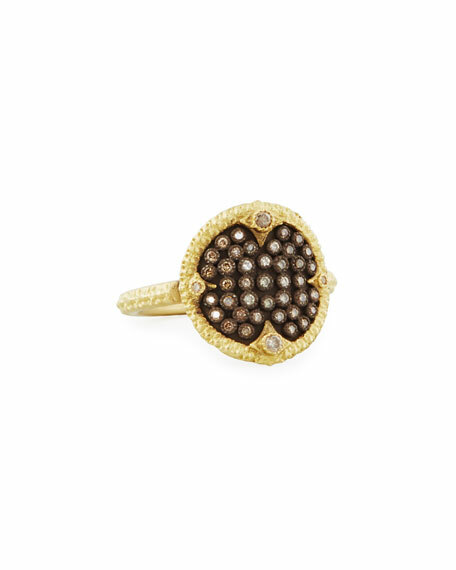 Ippolita ring from the Sugar Kissed Collection. 18-karat yellow gold wide band with drizzled design. SI1/HI white pave-set diamonds. 1.03 total diamond carat weight. Length: 29mm/1.14". Width: 21mm/0.86".